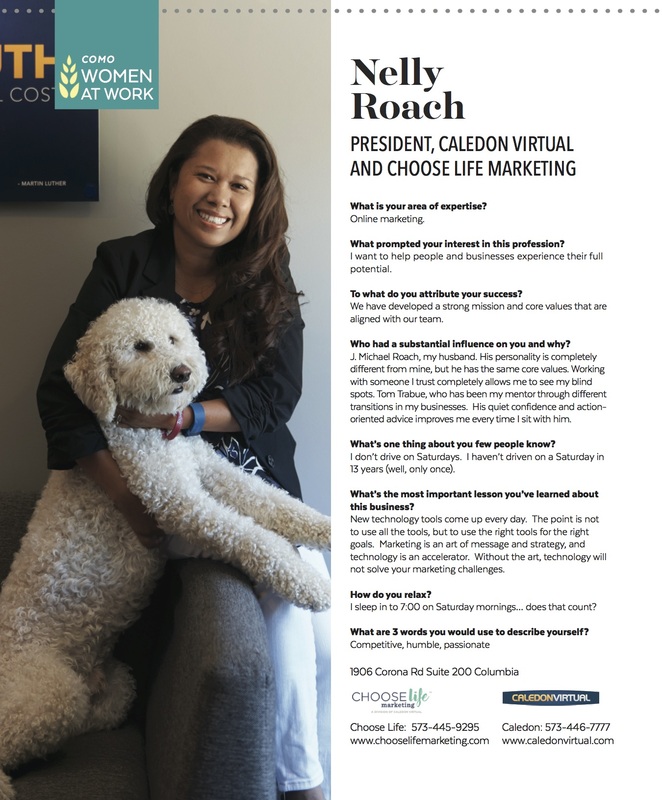 As one of our co-founders, Nelly Roach has set the course for Caledon Virtual since day one. She has 20 years of marketing experience under her belt, and is known throughout the mid-Missouri community for both her unrivaled work ethic and professional success. Over the past few months alone, we’ve been awarded Top of the Town Agency, launched a new division called Choose Life Marketing, and celebrated our new office space with an official Ribbon-Cutting Ceremony. To top it off, Nelly was featured in the Aug/Sep 2016 issue of Como Living, a magazine about Columbia lifestyle and culture. 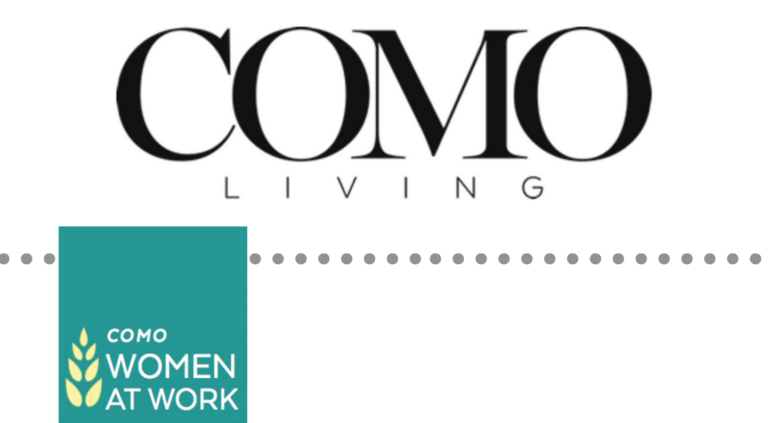 The recent issue honors working women in the community through multiple features, including Como Women at Work—where Nelly’s interview can be located on page 51.